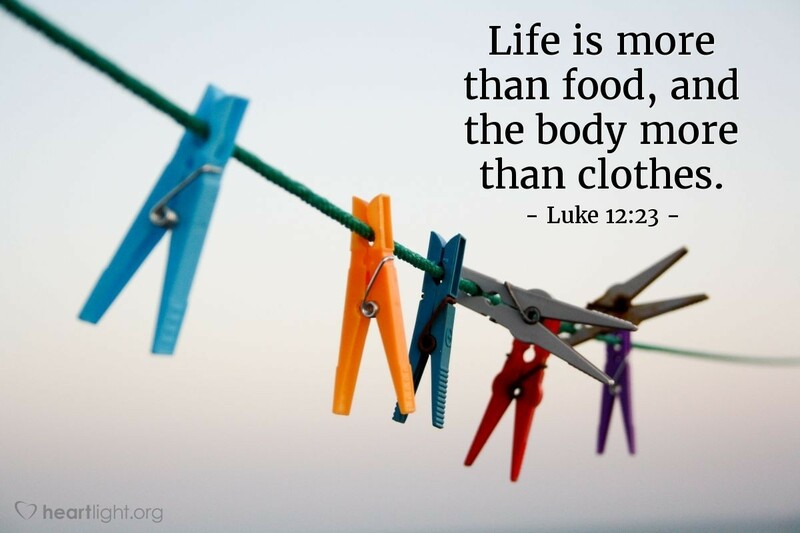 Life is more than food, and the body more than clothes. In the rush of the holiday season and the grab at getting and giving gifts, it is very important to remember that life is much more than even the most basic things we think we need. If we lose sight of God, his work and his will in our lives, then what do we have? Not much and it won't last long! My prayer for you, and for me, during this holiday season is that we are reminded of what is most important, most valuable, and most enduring. Sweet and precious God, almighty and awesome in glory, yet so near and so concerned about my heart, thank you for knowing and loving me with an everlasting love. Please give me the wisdom to see beyond the transitory things of life and find you and your sustaining presence. In Jesus' name I pray. Amen.